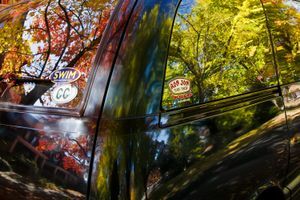 The fall of 2007 was the first time I noticed that an automobile carries with it, as an intrinsic part, the reflection of the landscape in which it exists. 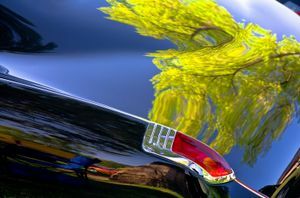 I saw the reflection of a swirling spring-green cottonwood tree in the surface of a shiny black Buick parked on a field in Moab, Utah. 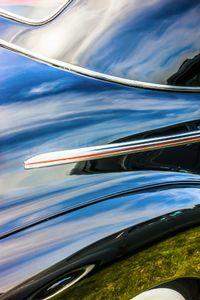 A photograph of that car and reflection, “Black Buick Cottonwood”, won me national and international recognition through the National Geographic Magazine. 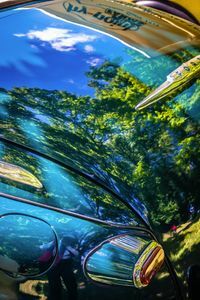 The curved surfaces of the Buick distorted the reflection of the tree in a surprising way. 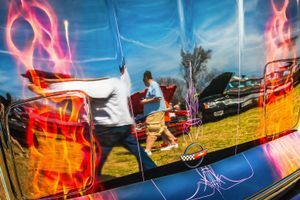 I was seeing two separate realities: the car, and trapped within that car, the environment in which it existed. 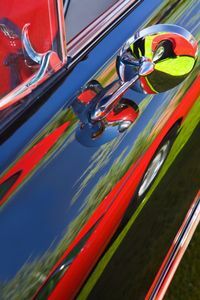 In capturing the car and reflection in one photograph, I had created an artwork where two different kinds of reality were presented in the same object. 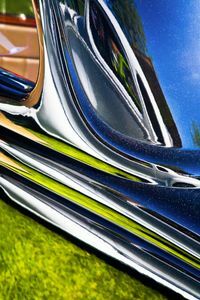 I realized that in my composition, both the car and the reflection were distorted, obscured, and fragmented in a way that necessitated careful observation of each, in turn, in order to make sense of the photograph. 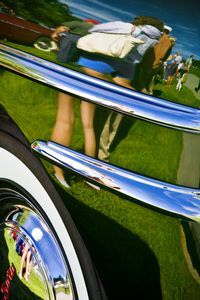 Throughout my Vehicular Landscape portfolio, the automobile and the landscape vacillate for prominence in the photograph. 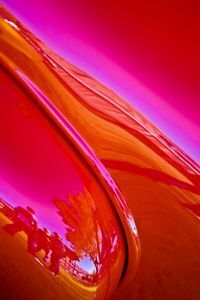 It is this persistent fluctuation that creates restlessness in the viewer. The image seems never to settle in the vehicle or in the landscape. Instead, it shifts back and forth between them. 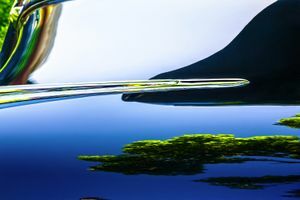 The viewer may come to understand the landscape or what parts of the car are presented but the focus of the photograph flips back and forth in a “Gestalt flip” which does not allow the landscape and the car to be fully perceived at the same time.